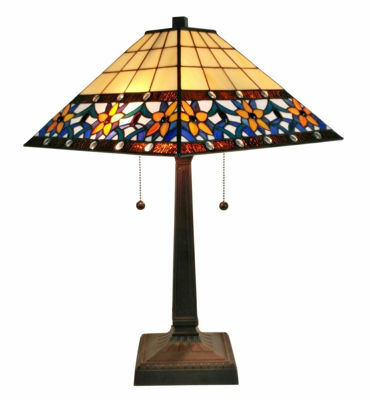 Light up your home with this unique table lamp while adding beauty to your environment. This sophisticated lamp features 376 individually cut pieces of glass and 12Â jewels complementing the dark brown finish of the zinc base. The dual pull chains give you complete control over the two 60-watt light bulbs, allowing you to control the level of light in your room.